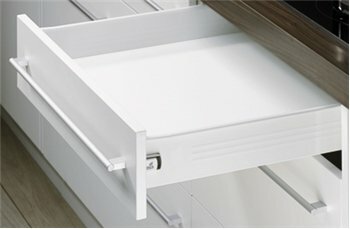 OVIS carries drawer systems from Hettich including the popular MultiTech system. These systems offer rapid assembly, superb function and sleek style. Drawer slides are an often overlooked part of cabinet construction. 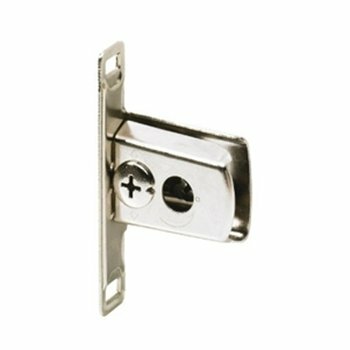 However, drawer slides are a crucial part in any cabinet or storage construction and having the right length and type of slides is key. Get the wrong type and your drawers won’t close or function properly. OVIS drawer slides are available in different material types, length, and weight limits. 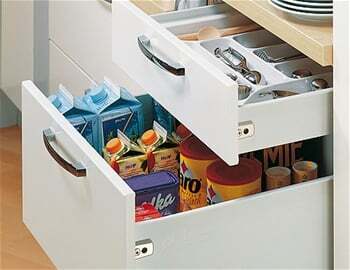 Drawer slides are used not only in home storage, but also businesses as well. Keep the following variables in mind, and you’ll be able to find the right slides for the job. Drawer slides are available from OVIS in many different types and configurations to fit a wide range of applications. We carry a large variety of sizes to assure an accurate fit for even very large storage projects and structures. Aside from standard sliders, there are also extenders which allow for a drawer to extend partly or fully out of a cabinet. Side-mount or under-mount slides allow for different types of drawer installation. Stainless steel designs increase durability and longevity. Heavy duty slides are capable of supporting up to 500 pounds of weight. OVIS also offers fully customized slides for specialized installations and needs. Contact us today with any questions.